Editing videos? Then you certainly agree that stock footage makes our lives much easier! No lights to set-up, no actors to hire, just grab a stock clip, drop it into your video editor, and you’re done! In the first post of this new series, I would like to start with a massive list of stock footage resources. I visited all of the sites listed below and put together a short summary about what each has to offer, their catalog, licensing, and the ease of use. Hope you find this helpful! There is no shortage of places to buy top quality stock footage (more on this later), but with most premium clips costing dozens or even hundreds of dollars per clip, let’s start with places that offer stock footage for free. a) Royalty Free License – allows for unlimited and without crediting the author. b) Videvo Attribution License – allows for the use of the clip free of charge for perpetuity, but you must credit the author of the clip. It’s easy to navigate through Videvo’s video collections. You can find videos on food, nature, science, cities, stores, and technology. Pexels have an extensive collection of CC0 license videos, so you can use Pexels clips anywhere you want, including commercial projects. You can find plenty of videos related to people, technology, cities, and nature. Videezy is a community of videographers who upload and share their videos. Downloads are free for Personal and Commercial use, but you must provide credit. Pixabay offers a nice collection of Creative Commons 0 videos.You can navigate by category or search for specific videos. Thanks to Creative Commons CC0 license, you can use the videos without giving credit. Mazwai is a relatively small collection of high quality videos. The duration typically ranges from 2 to 3 minutes. The videos are available under the CC3 attribution license, which means you have to credit the author. Coverr offers a collection of free videos formatted to be used as Web page backgrounds. You can use the videos for free, however, you are not allowed to redistribute the clips on other sites. Ignite Motion focuses on motion backgrounds. You can download the background for free and use in commercial or personal projects. Beachfront B-Roll features both stock videos and animated backgrounds. The license isn’t specified beyond saying that all videos are “completely free”. Note that all previews are hosted on YouTube, so you need to do right click to download. Movie Tools is a good source for free animated 2D and 3D background animations and lower thirds that you can use in non-commercial video production. Optionally, you can purchase HD versions for a commercial video. OpenFootage focuses on panorama, timelapse, textures, and smoke and fire footage. Free download is only available for the low resolution versions and require attribution. Stock Footage 4 Free offers free stock clips in a range of categories like sports, transportation, and nature. Note that you are required to open an account before you can download anyting. SplitShire offers a collection of fee videos in a number of categories. The author explicitly disallows using his clips in any offensive projects and reselling it on stock marketplaces. OrangeHD offers videos covering a variety of themes, including animal, Christmas, slow motion, time laps, and few others. The videos are free for non-commercial use under Creative Commons license and require giving credit. Vidsplay offers a collection of free videos but you need to give credit and to link back to Vidsplay. Alternatively, you can purchase a special no-credit license. Footage Crate offers thousands of media files, however, not all their content is free. First of all, you need to set up an account. Free accounts can only access some content and are limited to five free downloads per day. Motion Backgrounds offers a nice collection of background animations. You are not required to credit the site if you use their material. Life of Vids is run by Leeroy digital agency. The licensing isn’t explained in details except that “no copyright restrictions for personal or commercial use”. Not surprisingly, Vimeo hosts a vast collection of Creative Commons videos. You need to pay attention to each video’s license type, to find out if you can use a particular video on a commercial project or if credit is required. This Vimeo group has hundreds of free videos uploaded by Vimeo users. The licensing details are not specified, so it’s not recommended for any commercial projects. We Distill is still work in progress with the promise to add 10 free HD videos every 10 days. Mitch Martinez’s footage is top class and available for free download but you must complete a release form first. Both commercial and non-commercial usage requires attribution. Monzoom is a commercial stock site, but you will find some free footage under the Freebies section. You are not required to credit the site. Clip Canvas is another commercial footage site but it offers some 170 stock videos for free. No credit required. US National Park Service offers an interesting collection of multimedia (including video) material related to nature. Many clips are in public domain, so you can use them anywhere you like. The Fancy Footage Club is not an active project,yet you can still browse their collection of free videos. The licensing terms are not clear, so my advice is to avoid using it in commercial projects. Archive.org video library contains millions of video clips uploaded by Archive users. Many videos are free to download under various flavors of Creative Commons license. Use with caution, as the site provides no guarantees and does not curate user uploaded content. Most videos were provided by U.S. government agencies, such as the U.S. Records and Archives Administration and NASA. Recommended for fair use or research purposes, since the site provides no copyright clearance. That’s a good one! Detonation Films creates visual effects related to explosions, fireballs, smoke, and so on. You can download some clips for free (by putting “0” in the “Name A Fair Price” space), however you have to pay if you want the HD versions. XstockVideo offers a decent collection of free footage for promotional, event, educational, client, and YouTube (not monetized) projects. You must purchase the extended license for any commercial use. Some videos at Bottled Video can be downloaded free (mostly in SD), so I still think the site has a place on this list. However, lack of free HD content and confusing licensing agreement does not make it a strong contender. Generally Splasheo’s animations are not free. However, you can find a small collection of free video outros under the “Free Downloads” tab. MotionElements is a commercial stock site but it has the freebies section. Note that you are required to create an account and you can only download up to 5 freebies every week. Historical retro footage anyone? Pond5, one of the largest stock marketplaces, offers a nice collection of free public domain archival footage. Cinemagraph is a still image that contains looping moving element. The site offers a small collection of free content. You can use the free cinemagraphs in personal and commercial projects but must give credit. If you’re motion designer, this may be of use. Rocketstock is a commercial stock site that features a small but quality collection of free After Effect templates, lower thirds, Premiere Pro titles, and other creative elements that can add value to your videos. If you’re working on a commercial client project, you may not always have the luxury of spending hours on searching for free footage. Sometimes you simply need the quality footage and you need it fast. not to mention that you want to make sure you can safely use the footage in commercial projects. iStock offers millions of video clips from more that 160K artists covering different niches and themes. 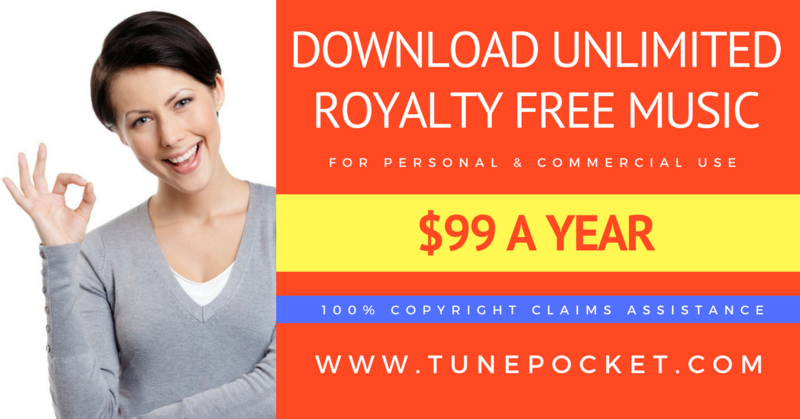 All videos are royalty free and cleared for commercial use. The footage is priced by the collection, not by the resolution. The clips in the Essentials collection are priced around $60 each, while the videos in the Signature collection can cost up to $170 per clip. The credit packages and subscriptions can provide discounts for large volume users. Shutterstock has over 11 million royalty free stock clips, including over 3 million 4K videos. The standard license costs between $49 and $199 depending on video’s resolution. Getty Images video collection has over 50,000 hours in footage covering a large array of styles and themes, including historic archives, A-list events, exclusive videos and more. The price varies depending on the resolution, production value, length, purpose, extension and exclusivity status, typically between $125 and $449 per clip. Dissolve stock collection of over 2.5 million assets has a nice artistic feel to it, thanks to the contributions by a selected group of renowned filmmakers and artists. Be prepared to pay $29 to $499 per a HD video, and $199 to $549 for a 4K clip. Pond5 can be a good place to get moderately priced royalty free footage. Their library is vast, with over 1 million of 4k video content only. The prices vary and you can save anywhere from 5% to 10% by purchasing a credit pack. Adobe Stock offers a wide variety the 4K and HD video content covering many styles and themes. You can use all stock content straight from your favorite Adobe app. You don’t have to be a Creative Cloud subscriber to purchase their stock content. Well established online stock media company with over 3 million of creative assets. The prices vary depending on the resolution. You can purchase a single video ($69 for a single HD clip and $169 for 4K) or get a pack with less expensive per-video price. On the lower end of the budget, Videohive’s footage comes with a variety of royalty free licenses. From most affordable single-use licenses, to more expensive licenses that allow you to re-use the same clip in multiple projects. Vimeo Stock is a new library (opened September 2018) powered by the well known video hosting provider. The library offers a variety of footage from $79 for HD videos and $199 for 4K clips. Studio quality music. Commercial lincese. Unlimited download from $99 a year. Know more places to get stock footage?